More trouble in an already troubling banking market. Regulators on Friday shut down banks in Georgia, Colorado and Kansas, marking 20 failures of federally insured banks this year. More are expected to succumb to the prolonged recession. The Federal Deposit Insurance Corp. was appointed receiver of the failed banks. FirstCity Bank of Stockbridge, Ga., had about $297 million in assets and $278 million in deposits as of March 18.
from the federal government, such as Social Security and veterans' benefits payments, will be transferred to SunTrust Bank. Non-governmental automatic deposits or withdrawals will be refused and returned. Bank representatives said there will be no access to ATMs at FirstCity Bank. Checks not cleared will be returned. At the time of closing, FirstCity Bank had an estimated $778,000 in deposits that exceeded the insurance limits, the FDIC said. Regular deposit accounts are insured up to $250,000. Colorado National Bank of Colorado Springs, Colo., had $123.5 million in assets and total deposits of $82.7 million as of Dec. 31. Amarillo, Texas-based Herring Bank will assume all of the deposits of Colorado National, whose four branches will reopen as Herring Bank branches on Saturday. In addition to assuming all of the deposits of the failed bank, Herring Bank agreed to buy about $117.3 million in assets at a discount of $4.2 million. The bank agreed to pay a 1 percent premium on the deposits. The FDIC said it will keep the bank's remaining assets for future sale. Additionally, Herring Bank entered into a loss sharing agreement with the FDIC, wherein the FDIC will assume 80 percent of the losses and Herring Bank 20 percent of the losses on $62 million in assets. Paola, Kan.-based Teambank N.A. had assets of $669.8 million and total deposits of $492.8 million as of Dec. 31. Teambank's 17 branches will reopen on Saturday as branches of Great Southern Bank. The Springfield, Mo.-based bank is assuming $474 million of Teambank's deposits for about $4.7 million, while the FDIC is paying out $18.8 million in deposits directly to brokers. Great Southern Bank has also agreed to buy about $656.5 million in assets at a discount of $100 million. The remaining assets will be sold at a later date, the FDIC said. Additionally, the FDIC has agreed to cover 80 percent of the losses on about $450 million in assets, while Great Southern Bank will cover the remaining 20 percent of losses. 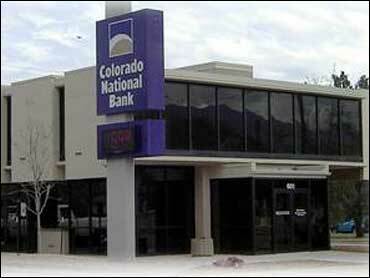 The FDIC said Teambank was affiliated with Colorado National Bank. The FDIC estimates that the cost to the deposit insurance fund from the closings of the three banks will be about $207 million. As the economy sours, unemployment rises, home prices tumble and loan defaults soar, bank failures have cascaded and sapped billions out of the deposit insurance fund. It now stands at its lowest level in nearly a quarter-century, $18.9 billion as of Dec. 31, compared with $52.4 billion at the end of 2007. The agency said Friday that the nation's banks and thrifts lost $32.1 billion in the final quarter of last year, even worse than the $26.2 billion originally reported last month. "Significant" revisions also lowered the industry's net income for all of 2008 to $10.2 billion from $16.1 billion.